Dream Foundation's online application process is quick, easy and secure. You can start filling in your application now, save your work, and complete it later. 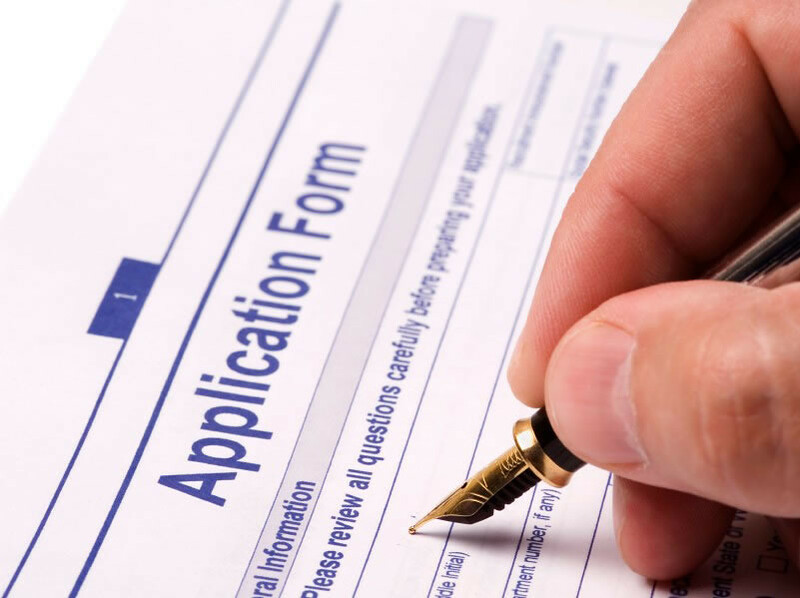 You will receive a unique applicant number which allows you to access your application at any time you want. With just 1 online application you can apply to different universities in different countries. We advise you to start with the process as soon as possible so that everything would be ready on time. There are some basic requirements you should keep in mind before start filling in your application. You will graduate from secondary school / university this year or have already graduated. You want to study and develop yourself in a new environment. You are able to write and communicate in the language the studies are conducted in. How to apply to a foreign university? Find a programme that interests you. You can use the programme search to check all the different opportunities you have. Next to the programmes you will find additional information about them and also button to start the application. NB! If you are not sure which university or programme to choose, try taking a career test for inspiration http://dreamfoundation.eu/career-test/ and then agree a time for a consultation. Most of the people in our team have a foreign experience themselves and are real fans of studies abroad. Contact us for a consultation and we are happy to help you in choosing a suitable study programme and university according to your interest, academic results and level of English. It is strongly advised that you already have your English test results when submitting the application. For more information check out the language test section on our homepage or contact us. 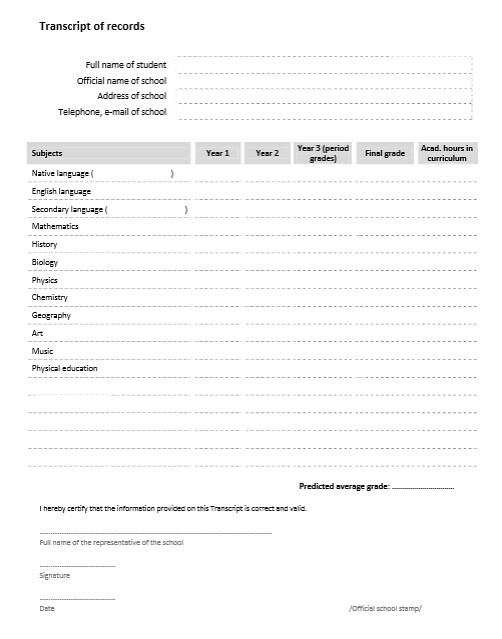 In the online application form you have to submit personal information, academic results and a reference(s) from your teacher(s). We advise to submit the application at the first possibility so that there would be enough time to look everything through and make corrections if needed. An academic reference (recommendation letter) in English from your teacher is normally required. If you are not a student anymore, you can ask the letter of recommendation from a former teacher. You will be able to request the references using the online application form. A scanned copy of a passport (preferably at least two years to expiry date) also needs to be provided. Most institutions nowadays accept ID cards, but we recommend adding a copy of the passport. Some courses may require additional documents to be attached to the application - specific instructions are given in the course description. Conditional Letter of Acceptance. In case you have received a conditional letter of acceptance please look for the conditions in the letter that you have to fulfil to be fully accepted. Typically, the conditions are just formalities and easy to meet. Unconditional Letter of Acceptance or just Letter of Acceptance says that you have been accepted. When you have received the letter of acceptance and there are no conditions that you are not able to fulfil, we recommend you to start preparing for your life abroad straight away. … and finally GO STUDY ABROAD! We advise you to contact your local Dream Foundation office for a consultation to find the most suitable study programme and university. Take the language test at the first opportunity. Different universities require different tests but in many cases you can do Dream Foundation’s TESA English test. Add no more than 3-4 study programmes from up to 2 countries to your application. Submit your application as early as possible so there will be enough time to make corrections if necessary. You can submit the application while still studying in the final year of secondary school – just add your final diploma when you get it. Don’t choose a university or programme based on a name that sounds good but do your homework! Criminology is not what you see from CSI and “London” in the university name doesn’t always mean high quality. Privacy. Your privacy is very important to us and you can be assured that the information inserted on your application will be kept strictly secure and transferred only to the universities that you have chosen on your application. Mistakes. If it occurs that there are mistakes on your application and the application cannot be accepted, we’ll send you further instructions how to correct everything. NB! We are currently NOT ACCEPTING applications from NON-EU countries, except Georgia and Serbia.